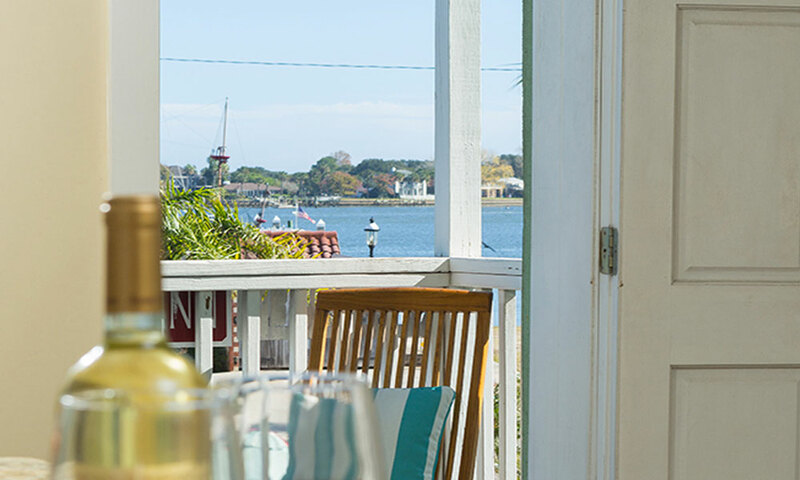 Bella Bay Inn is located on the bayfront in historic downtown St. Augustine and offers five spacious guest rooms, all of them with great views of the Bridge of Lions and Matanzas Bay. 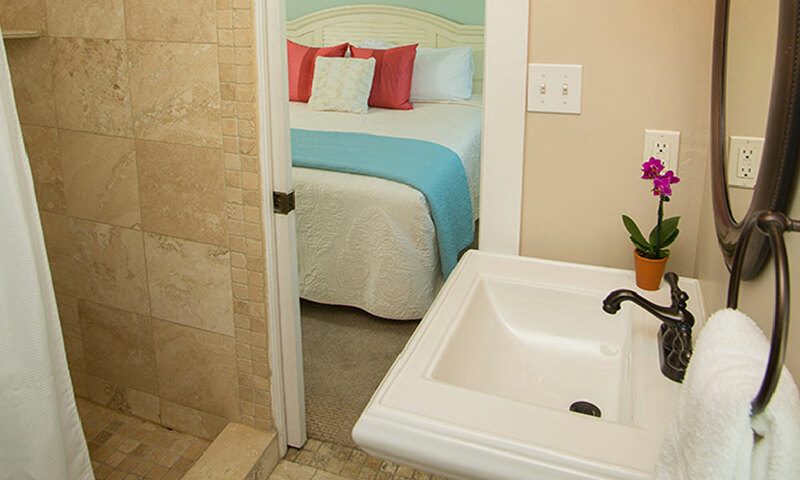 There are three premium rooms, each with a large garden tub, and two signature suites available for guests. 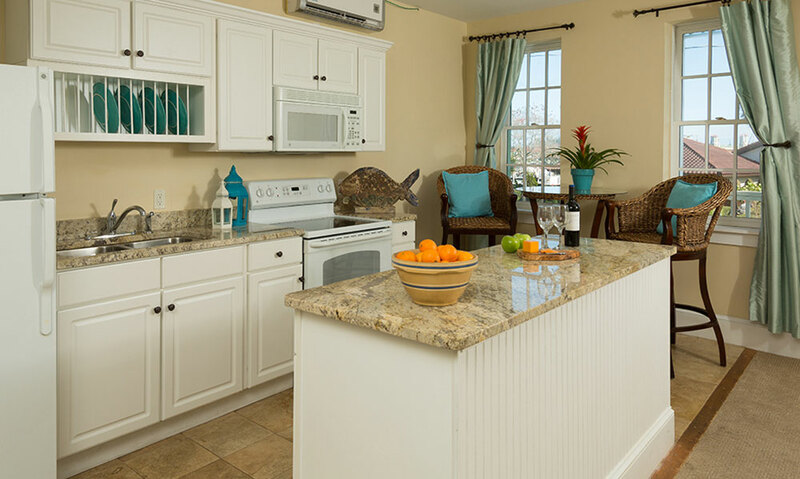 Both suites offer fully equipped kitchens, while the Grand Suite also boasts two balconies and a living room. The rooms at Bella Bay are all painted and decorated in seaside colors, with elegant decor and lots of colorful touches. 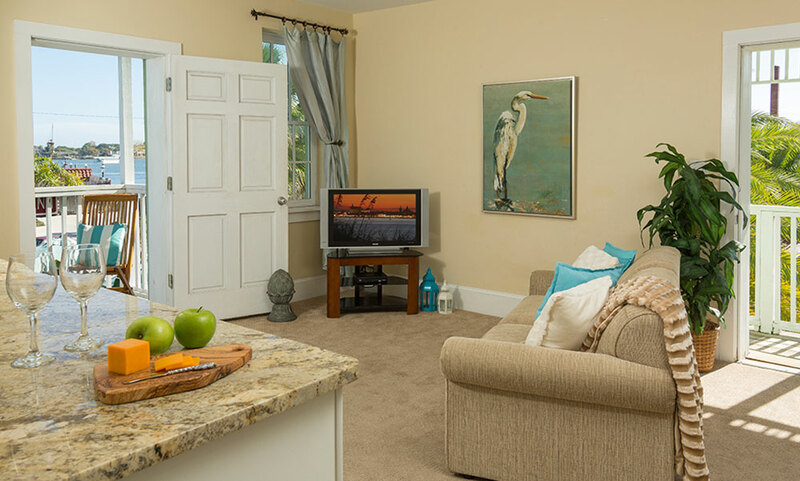 They all have bayfront views and come with one free parking space, which is a valuable commodity in downtown St. Augustine. 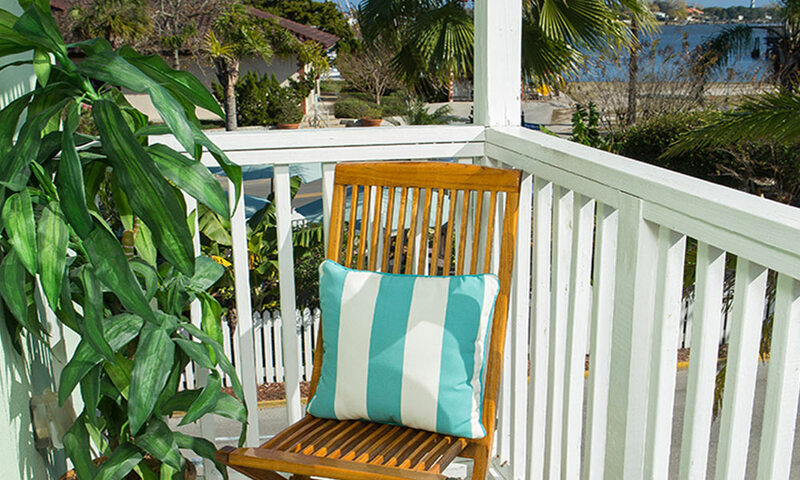 The central location on the bayfront, with the historic district within easy walking distance, makes this bed and breakfast a perfect spot for a relaxing vacation in St. Augustine. Bedroom of the Grand Suite at St. Augustine's Bella Bay Inn. 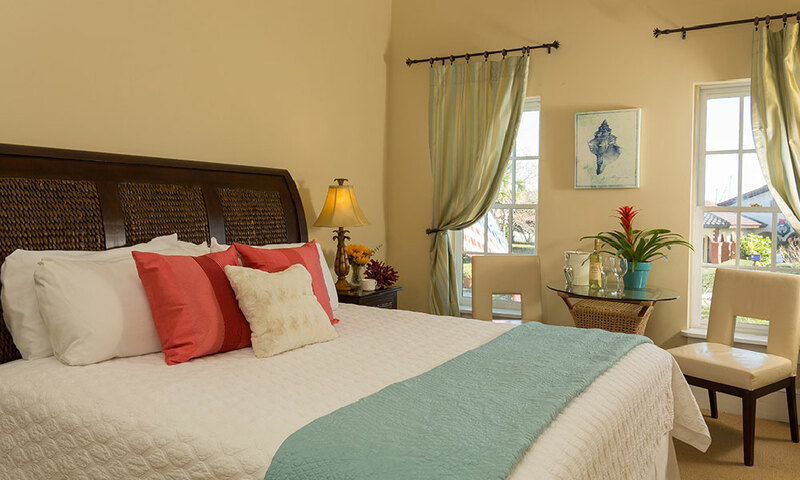 Bella Bay Inn also offers first-rate maid service, convenient parking options, and the convenience of having the many restaurants and shops in St. Augustine's historic district just steps away from the inn. Attractions and museums within walking distance include Flagler College, the Lightner Museum, the Castillo de San Marcos, the Pirate and Treasure Museum, the Colonial quarter, and all the tours that go out from the Municipal Marina. Amenities: Bayfont views, wet bars, free parking, cable/satellite TV, microwave, refrigerator, coffee maker, hairdryer, iron and Ironing board, and room safe. Be the first to Review Bella Bay Inn!